This project is intended to introduce some basic concepts of electronic and mechanical design. There is a small amount of soldering and a small amount of assembly. The result of this is a working and powerful flashlight. 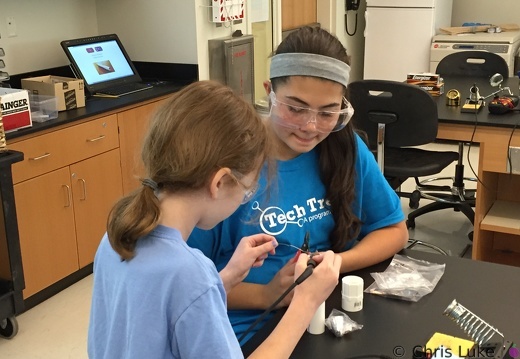 Here 30 young teenage girls built their own flashlights as part of the AAUW Tech Trek program that came to Stockton University in New Jersey in 2015. Here another 60 teenage girls built their own flashlights as part of the AAUW Tech Trek program that came to Stockton University in New Jersey in 2016.